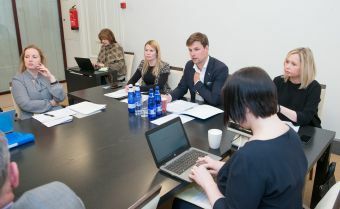 The European Union Affairs Committee of the Riigikogu (Parliament of Estonia) agreed with the opinion of the specialised committees not to support the positions of the Government on the Posting of Workers Directive and, by consensus, made a proposal to the Government to amend the Government’s positions, reported BC Epp-Mare Kukemelk from the Riigikogu press service. According to Palling, Estonia is thus protecting its companies and workers in order to preserve their competitiveness on the single market of the EU, and to make it possible to post workers to work in other countries also in the future. The Social Affairs Committee and the Economic Affairs Committee considered the content of the draft resolution justified and decided not to support the Government’s positions. The European Union Affairs Committee has initiated a draft resolution that contains a reasoned opinion that the draft directive proposed by the European Commission does not comply with the principle of subsidiarity. The draft resolution (225 OE) will be deliberated in the plenary assembly of the Riigikogu on 10 May. By today, the Czech Republic, Poland, Romania, Bulgaria, Lithuania, Latvia, Croatia and Denmark have submitted their reasoned opinions. Besides Estonia, domestic procedures related to submitting a reasoned opinion are under way also in Hungary. If all these states submit their reasoned opinions, the “yellow card” procedure will be launched. The parliament of each Member State has two votes, totalling 56 votes. If one third of the votes, or 19 votes, are won, the “yellow card” procedure will be initiated. So far, it has been initiated on two occasions in the European Union. The “yellow card” procedure means that the European Commission reviews its proposal. The Commission may decide not to change the draft directive, to amend it or to withdraw it, but it has to justify its decision. The European Commission has prepared a proposal for amending the Posting of Workers Directive that aims to unify the conditions applicable to posted workers and local workers, including pay and working conditions. The proposed amendments would limit the maximum duration of a posting to 24 months, and from then onwards, the labour law conditions of the host country will be applied with regard to the posted worker.